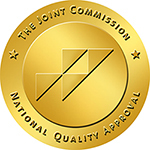 The laboratory service at St. Anthony Community Hospital is accredited by the Joint Commission on Accreditation of Healthcare Organizations (JCAHO). The St. Anthony Community Hospital laboratory provides a full array of comprehensive laboratory testing for both inpatients and outpatients. The laboratory performs 300,000 tests each year. Our board certified pathologists, experienced technologists and highly trained phlebotomists utilize state-of-the-art technology to provide rapid, quality test results. The laboratory staff also perform EKGs and EEGs.